Top knot bun hairstyle is very popular among women, they are very comfortable and suitable for any occasions. Messy bun hairstyles should look messy that like it has not been worked on. It can be paired with braids or you can sport half updo to look more chic and modern. 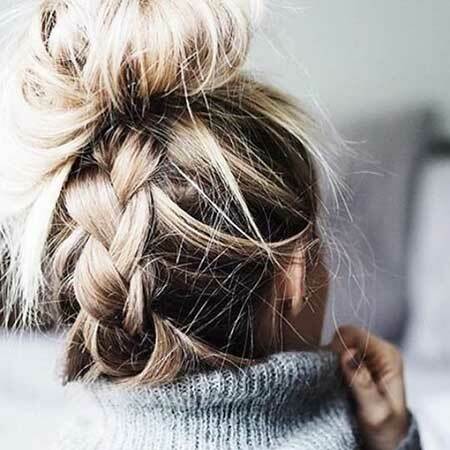 Here is a gorgeous messy bun style with French braid that complete the messy look of this simple & chic style. Half top kont bun is a real trend for women especially the young ones, it is proper for almost every hair time and situation. 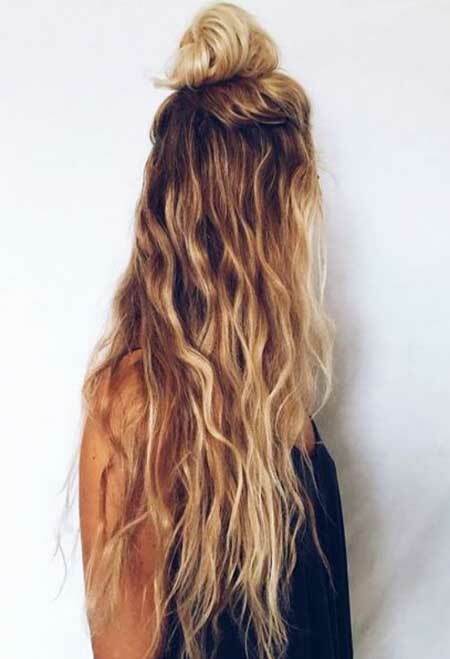 If you want your half bun look bigger try not to style in over tight, pull off some pieces to create the messy look. Here is big messy bun style for women with red and thick hair type. 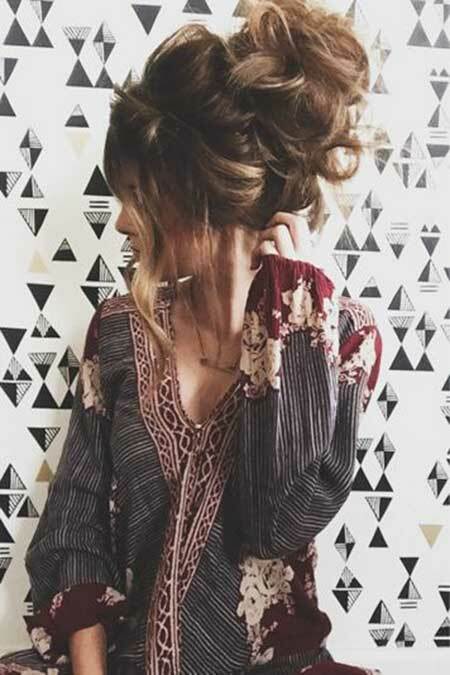 If you like messy hobo looks this half updo would be a perfect choice as you can see the braids add a bohemian vibe to the hair. 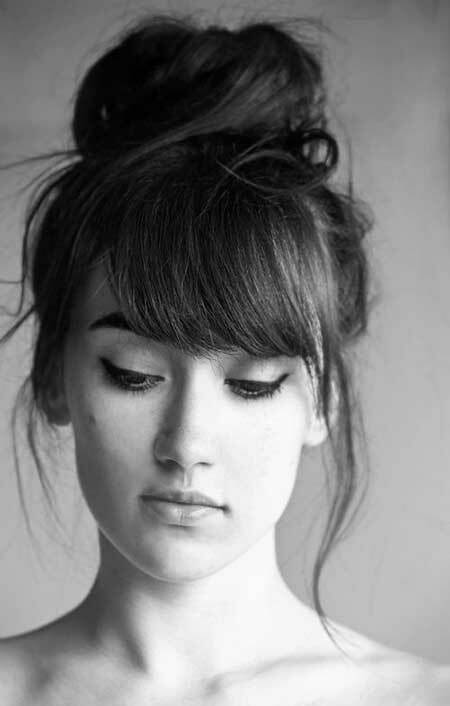 Big messy bun with full bangs is a sophisticated style for girls who like to emphasize their eyes.